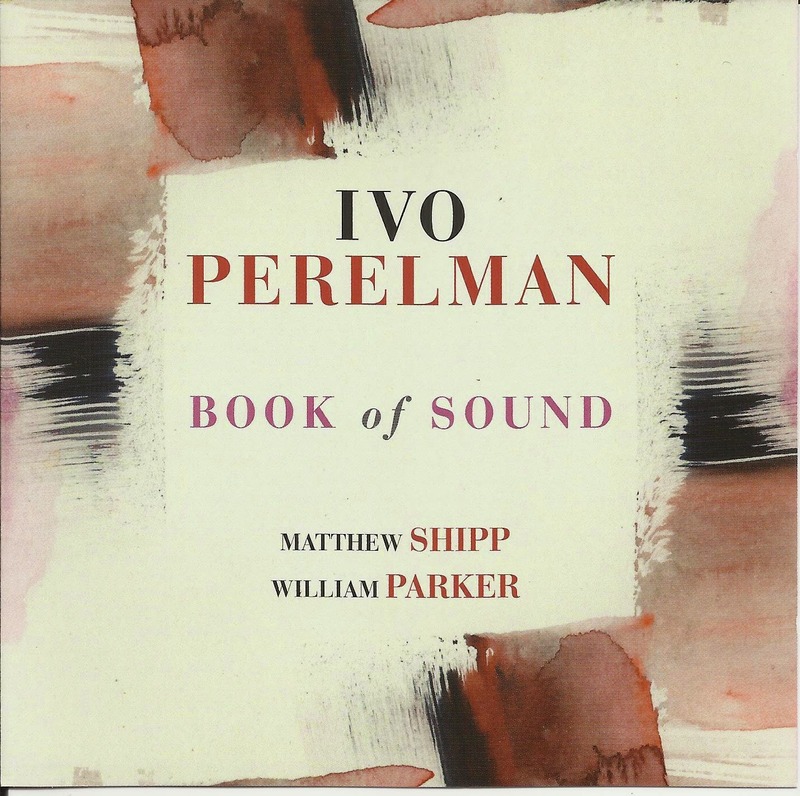 Maybe we could call Ivo Perelman "Lightning," since he never strikes twice in the same place. Although he has composed pieces for his albums in the past, the Brazil-born tenor saxophonist is now fully devoted to spontaneous creation each time he picks up his horn. As of late, his recorded output has been pretty prolific. (He's released 20 albums in the last four years.) These three discs come in the wake of two others that Leo released last fall. But they follow another criteria that Perelman adopted: none of them feature the exact same lineup. Perelman has played with a certain musicians on several occasions, but he typically prefers to switch out a player or two, so things are never quite the same. Not only does the music change each time, the process taken to create it always takes on a new wrinkle when different personalities come and go. Having said that, The Other Edge sort of acts an exception. 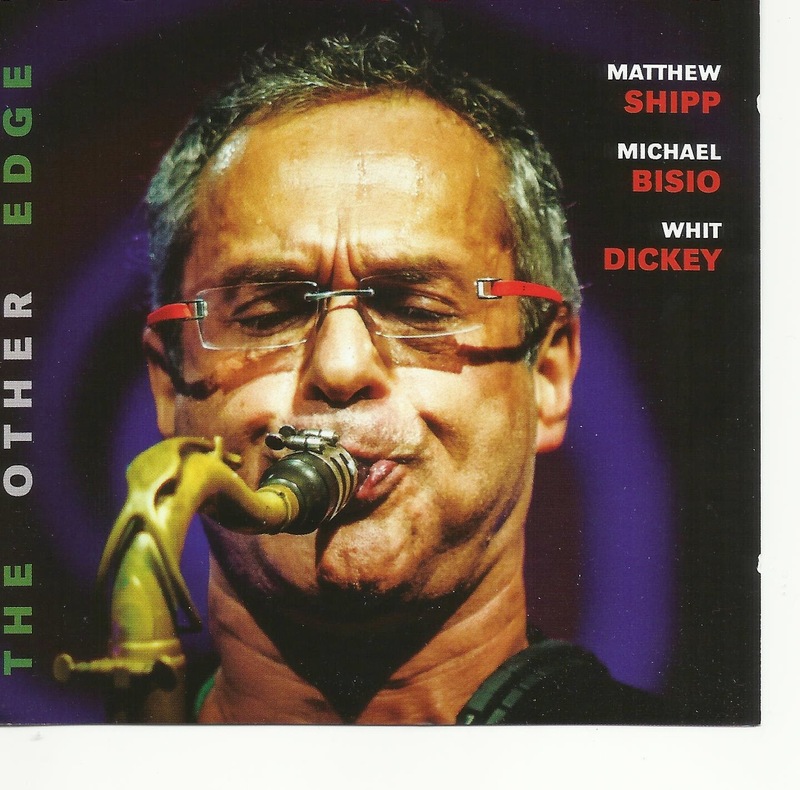 It features Matthew Shipp's trio (pianist Shipp, bassist Michael Bisio, drummer Whit Dickey) returning to the studio with Perelman for the second time, 18 months after a session for the album The Edge. "I broke the rule because we felt this had so much potential," he explains. He's right. The backing trio is a cohesive unit on its own but together with the saxophonist, they form something bigger. There are layers of group interaction, so it sounds like much more than a guest rhythm section with a leader. Everyone takes the "lead" on the album at some point. It's tempting to think of David S. Ware's quartet during the opening "Desert Flower." Perelman opens with an unaccompanied tenor solo full of fire and wails before the trio comes rolling in. (While Shipp's wave of chords and lines were a part of Ware's group, Dickey was also a member of the group for a while too.) The title track also recalls the Ware a bit too, as Perelman plays at a feverish level of intensity and without backing down until the end. In between these bookends, the group explores their own ideas. "Panem Et Circenses" Parts 1 and 2 are marked rhythms that could almost be called grooves. It comes as a surprise after Part 1's pensive opening, which comes closer to a ballad. The second part almost falls into a march, with Perelman delivering a series of honks on the beat. "Petals or Thorns?" - a great set of options to describe music like this - begins as a quiet free ballad, before the tenor shatters the mood with a high, long wail. Later Bisio joins the altissimo squeaks with some high harmonic bowing, sounding like an additional horn. The Other Side has some of the wildest playing of the three albums, but it never sounds like Perelman is trying to seer listeners with his upper register squeals or lower squalls. While it sounds intense, it also feels engaging. If anything Book of Sound might seem like the album that would draw comparisons to Ware's group, since the session brings back Shipp as well as bassist William Parker, another anchor in that group. But the meeting of the minds comes up with the strongest set of music out of the three. In fact it sounds closest to composed music due to the way these three play together. While the high end sax squeals seems more like punctuation on the previous disc, their appearances on Book of Sound come across more as extension of his lines in the lower registers, and a completion of thought. "Candor Dat Viribus Alas" with its dark but balladlike setting, has just the right blend of lyrical and gruff elements. "Adsummum" cuts loose with strong sense of direction, in which Perelman seems to play continually for several minutes without pausing during an extended idea. When Shipp and Parker hit on a two-chord vamp, with slight variations along the way, things feel a little sanctified. Perelman's 2013 releases included the soundtrack to a film A Violent Dose of Anything, which he made with Shipp and violist Mat Maneri. The convergence of free improvisation and soundtrack might seem incompatible, but the trio excels at creating moods, and some of the results felt a little noirish. 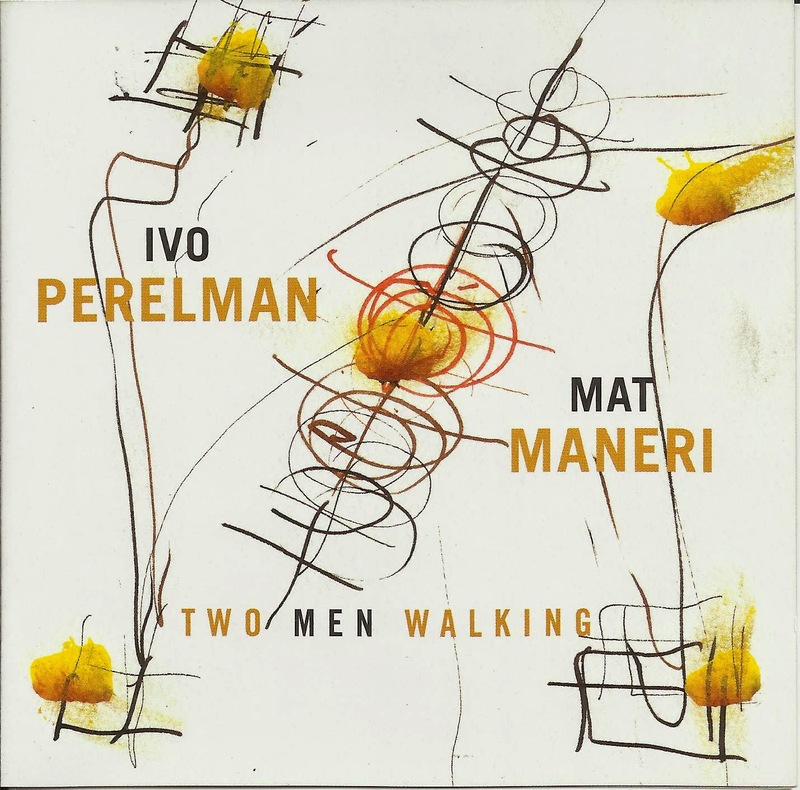 Two Men Walking reunites Perelman and Maneri for a series of duets. Of the three albums, this is the most challenging listen. Without any harmonic or rhythmic instruments to hold or catapult them, both players produce a set of tracks (divided into unnamed "parts") where they echo each other (approximately), hold conversations or go at it on parallel musical lines. A strong rapport exists between the two, but the close range of their instruments and a similar, loose feeling doesn't differentiate between some of the tracks, when a little more variety could be used. Perelman's of-the-moment approach to playing makes it a little easier to understand why he has become so prolific. Committing the music to tape is the easy part when like-minded friends are with you. It's not quite the same as Guided by Voices leader Robert Pollard's knack for sneezing out a handful of albums a year. Great musicians shouldn't have to think in terms of dollar and cents but it can be hard to keep up with someone who releases so much, while droves of other musicians like him are vying for listening time. This music is not disposable. But do you listen to it once and shelf it to make way for the next album? Do you pass up one disc in favor of another, or wait until the next one comes along? Presumably, we should leave that to the folks at Leo to worry about, and just listen. For now, Perelman has given us plenty to absorb.